Please note: Your Prayer Request is considered sacred and is kept confidential. Rev. 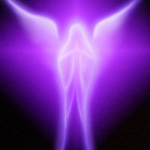 Estelle receives each request directly and prays for you personally. If you request an email letter and affirmation you will receive them within a few days.